America's criminal justice policy reflects irrational fears stoked by politicians seeking to win election. A preeminent legal scholar argues that reform guided by evidence, not politics and emotions, will reduce crime and reverse mass incarceration. The United States has the world's highest rate of incarceration, a form of punishment that ruins lives and makes a return to prison more likely. As awful as that truth is for individuals and their families, its social consequences--recycling offenders through an overwhelmed criminal justice system, ever-mounting costs, unequal treatment before the law, and a growing class of permanently criminalized citizens--are even more devastating. With the authority of a prominent legal scholar and the practical insights gained through on-the-ground work on criminal justice reform, Rachel Barkow explains how dangerous it is to base criminal justice policy on the whims of the electorate, which puts judges, sheriffs, and politicians in office. Instead, she argues for an institutional shift toward data and expertise, following the model used to set food and workplace safety rules. 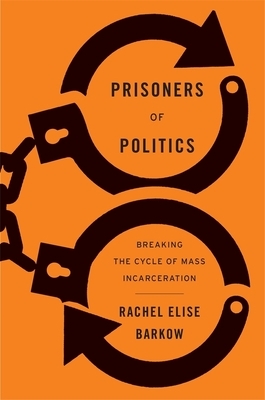 Barkow's prescriptions are rooted in a thorough and refreshingly ideology-free cost-benefit analysis of how to cut mass incarceration while maintaining public safety. She points to specific policies that are deeply problematic on moral grounds and have failed to end the cycle of recidivism. Her concrete proposals draw on the best empirical information available to prevent crime and improve the reentry of former prisoners into society.